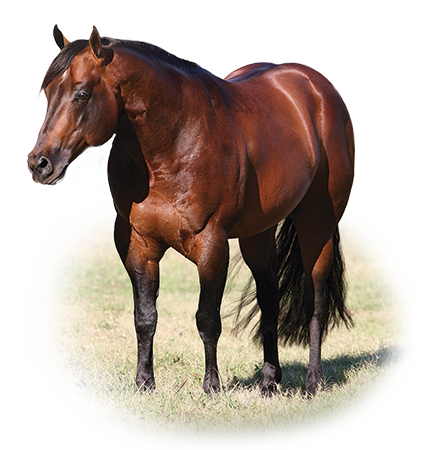 After proving himself in the show pen, HANG TEN SURPRIZE is now proving to be a quality sire with only a limited number of show age offspring. 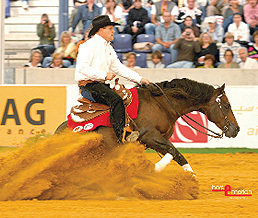 His pedigree boasts some of the best bloodlines in the business. 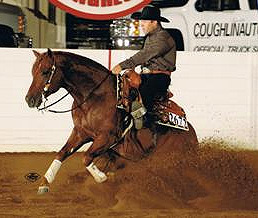 Sired by NRHA Open Derby Reserve Champion Hangten Peppy, his dam is the great producing mare Mizzen Topsail, whose offspring have won over $406,000. 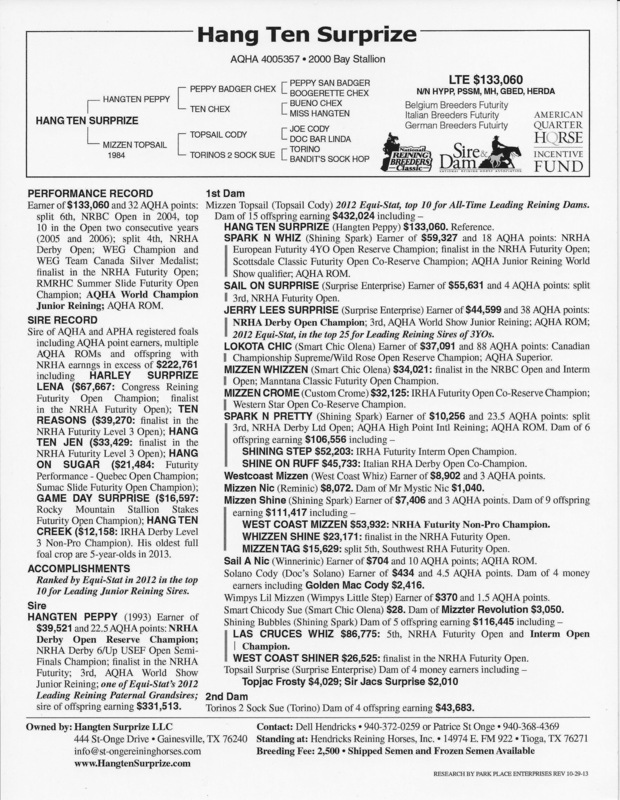 Enrolled in: NRBC, NRHA Sire/Dam, AQHA IF, Belgium Breeders Futurity, Italian Breeders Futurity, and German Breeders Futurity.